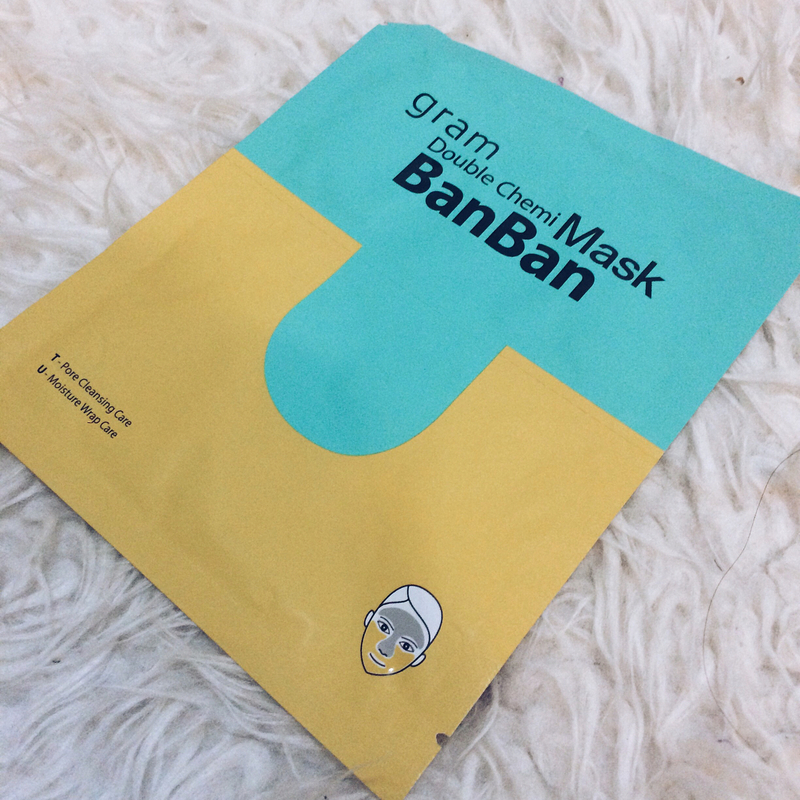 Last night mask of choice is the gram Double Chemi Ban Ban Mask, courtesy of @my.seoul.sister bb, THANK YOU I LOVE YOU!. It's a dual mask that targets different need for the T and U zone. The t shaped mask (for t-zone) is a pore cleansing mask, and smelled heavily like tea tree oil. It's cooling and soothing - and have this astringent properties. The sheet mask material is different than I'm used to - thin, plastic like that made me checked twice that I didn't put on the plastic backing instead. 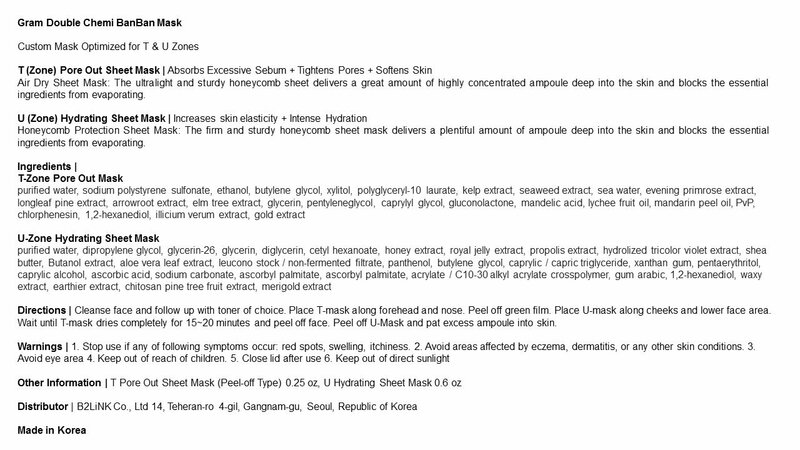 The u-mask is called moisture wrap care mask, and is supposed to provide moisture and intense hydration to your u-zone. 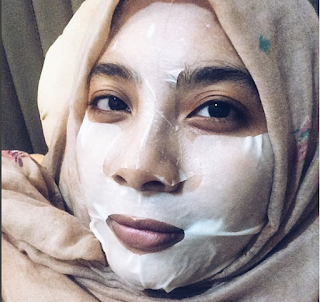 The sheet mask is made of your regular cotton sheetmask, and the essence is much thicker and creamier. I actually love the whole fit, it felt like my face was bandaged with wet blanket in a nice way. I don't love the pore care mask as it kinda felt too sticky and tight, but I do love the U-zone mask. It was comfortable and soothing although I didn't notice amazing result afterwards.